These two camps have basically been divided into Calvinism and Arminianism and down through the years many brilliant men have weighed in on this issue for one side or the other. The question has been asked of me more than once if I am Calvinist or Arminianist. My answer: yes. Is God sovereign? Yes. Do we have free will? Yes. Does God chose who will be saved? Yes. Are the saved those who have chosen God? Yes. In context of this verse, the believers are those who have always belonged to God. They are also the ones who have kept His word. They could only be His disciples because He was revealed to them. Yet also, they are His disciples because, once revelation came, they ran with it. React: Others may disagree with me, but in my opinion the issue of whose we are is far more important than the details of how we got there. Ultimately, the core issue falls solidly on a completely different question. That question is, “have you surrendered your life to God? 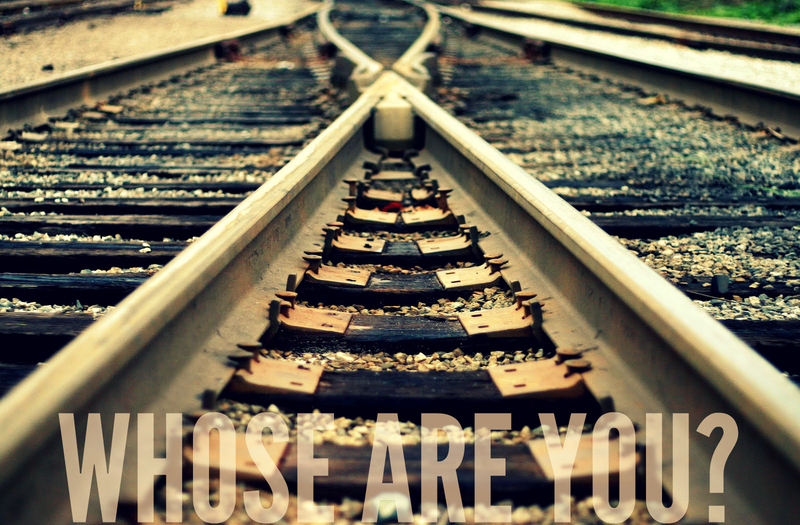 Are you His?” I like how John Piper put it, “You can know with surety if you are one of the elect if you have a deep passionate desire for God and also if you are at war with your sin.” None of us are perfect, but do we have a hatred for the sin in our lives? Not every step will land firm, but are we passionately pursuing after God? Are we doing our best, while wrapped in His grace, to keep His Word? If so then we know to whom we belong. I long for You. I long to keep Your Word every moment of every day and with every single step I take. Unfortunately, I’m not there yet. I do still trip up. I fail. I fall. Help me to have a deep hatred for those times when I do. Don’t ever let me just shrug them off or get comfortable with me sin. When I slip, let me cling ever tighter to You. When I fall help me to get back up and continue walking knowing that ultimately it is only by Your grace and because of Your sacrifice that I have the freedom to chose You over and over again. Great post, well thought out! Belonging to Christ is everything! BJ, …as long as we have Today, what more do we need? We can not change yesterday or tomorrow? If we can give this day or in other words “today” to the Lord fully, in return, He is faithful to give to us our daily bread or as well our “spiritual” bread, which is Christ – through the power of the Holy Spirit;found through evidence of the spiritual fruits; Love, Joy, Peace…to occupy our “today”. Be blessed and Live it! I’ve always thought the views in each camp were just one of perspective. God obviously knows who will accept Him……. and we have to accept Him. What came first the chicken or the egg.. (bad analogy….so forget it) The fact is like you put it, who’s are you now! If you can say with surety God’s, Just Praise Him! A thoughtful reflection and lovely song. Well said and sung.